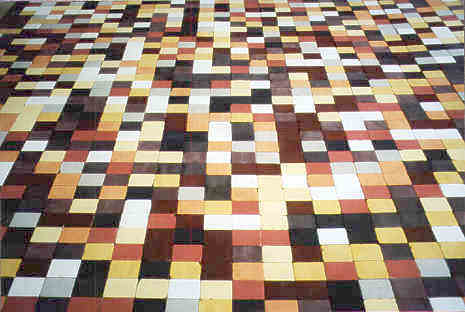 In an old stable in Grabitz near Rambin/Rugen in Germany HAEL YXXS built a mosaic with colored bricks (4x4m). The order of the colors is defined on the first 1500 digits of . Every digit has its own color, from 1 — white, 2…9 — ochre, red tones to 0 — black.